Lucknow Bench of Allahabad High Court recently in a Habeas Corpus petition, allowed a minor girl to live with her husband. A division bench comprising of Justices Ajai Lamba and Ashok Pal Singh held that even if a girl is a minor, her marriage cannot be said to be void. The Court also held that liberty of the girl, even if she is a minor, cannot be curtailed without any legal cause. Husband of the minor girl had filed a Habeas Corpus petition on behalf of the minor praying for direction to the Rajkiya Mahila Sharanalaya, Lucknow to release the girl and give her in to his custody. According to him, the girl was tormented because her father and brother are taking Rs.50,000/¬ to get the petitioner married with an aged person. The girl resisted the said matrimonial alliance, and then married Jitendra. When she eloped with Jitendra, her father filed complaint before the police and as per magistrate’s order she has been housed in a Government Women Protection home. The High Court said that a court of law or an authority passing an order which is likely to curtail liberty and freedom of a citizen is required to consider all possible alternatives to curtailing liberty of a citizen. “Such legal forum is required to take into consideration the wishes and desire of the person whose liberty would be curtailed by virtue of an order passed by that forum. The petitioner, in the case in hand is not accused of committing any offence.”, the court said. The High Court said that this is a clear case in which the father of the girl did not accept marriage alliance of his daughter and therefore, in a vindictive and egoistic action initiated criminal proceedings. “In such cases victim is the best witness, who happens to be the petitioner. These relevant circumstances ought to have been considered by the Magistrate while giving importance to the statement of the petitioner/victim/prosecutrix, recorded under Section 164 of Criminal Procedure Code. The statement, however, has been ignored without any legal cause”, the court said. 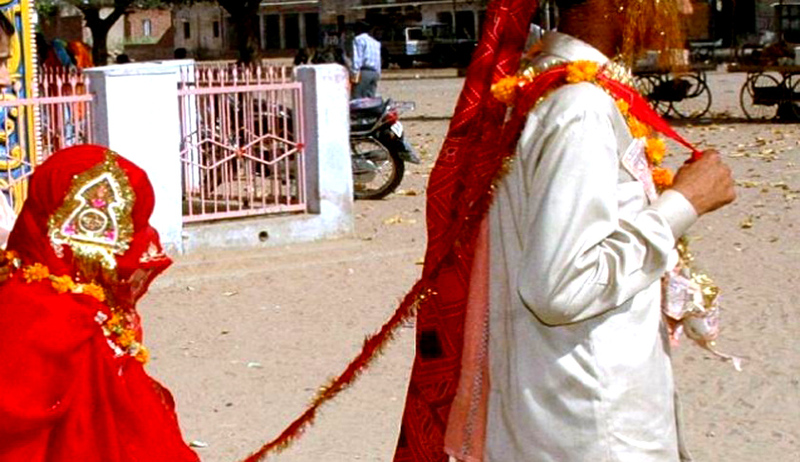 The court observed “even if a girl is a minor, her marriage cannot be said to be void under the Hindu Marriage Act 1955. The girl has the right to repudiate the marriage, in terms of the provisions of Section 13 (2)(iv) of Hindu Marriage Act. At this point in time, however, it is the case of the petitioner that she is married to Jitendra. Due regard to the statement is required to be given by a court of law”. Although notice was served, father of the minor girl did not appear in person or through an advocate. Noting his absence, the Court added “ It indicates the disregard of the father towards his own daughter”.